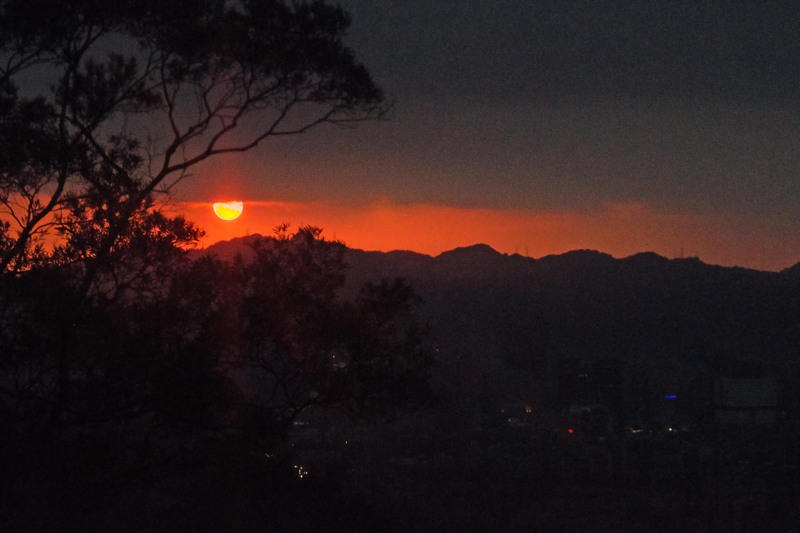 Here is a picture of the sunset at Maokong, Taipei. Thanks to my dear friend who took me there. It was an unforgettable moment… for many reasons. I have a lot to catch up on your blogs, and I will. 13 Responses to Happy Thanksgiving! Good morning, Lignum. To my surprise, the food was pretty good 😉 I was more worry about missing the kid, but it turned out that letting go was not as hard as I thought. I can barely write in English, much less another language, so I’m impressed over here. I think it’s a great idea – a challenge for your mind and spirit. Happy Thanksgiving a day late! Good morning, Sue. Hope you had a wonderful Thanksgiving.